What do these two pictures have to do with inspirations you might ask. Well for a few years now I have not been feeling up to par. Several abdominal and female issues to report. I have tried all the over the counter and prescription thing out there to help combat my issues. Thank goodness for a great Dr. of Chiropractic who just happens to be my husband for actually finding out what the problem is instead of just treating my symptoms. So these two pics are my inspirations becuase thanks to good foods, allergy treatments and cold laser treatments I am almost back to feeling like my old self again, energy, no pain, no heartburn, no bloating....... back to lots of things on my schedule and getting lots done, oh yeah and back into my skinny pants. 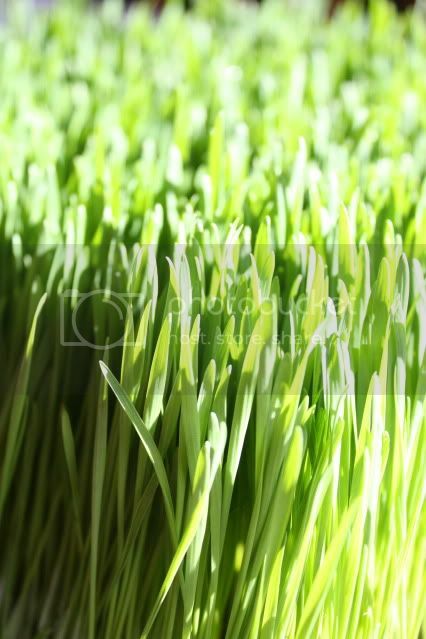 The first pic is of a flat of wheat grass which I have a shot of every morning. Yuck you might say but in fact it goes down smooth and fast and gives me that boost in the morning. The second pic is of Homemade Lemonade. 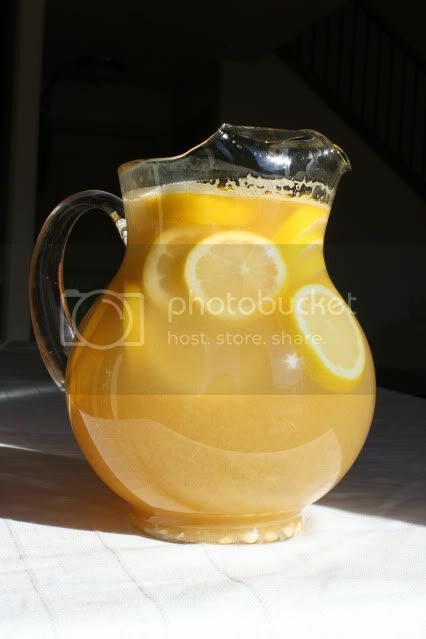 I loved how it looked in the pitcher. It tasted amazing to. So no carbs, or sugar, or yeast for me for a while ( I have to admit that I probably have a sweet once a week or else I would die) but if I can keep what I put into my body under contrl my sypmtoms seem to be under control I am going in next week for my Yearly Exam just to make sure there are no underlying causes for my issues. If any one is interested in my Alkaline diet (I am staying away from acidic) email me. Isn't 30 and our body changes just lovely. I hope you can keep it under control. I would love to sit down with you and have a refreshing drink of lemonade. Not so keen on the wheat grass, but that lemonade looks yummy.